Stores are free, curated destinations for your brand on Amazon. Easy to create and customize to your vision, brands use Stores to show shoppers more about who they are and tell their story—deepening brand engagement and customer loyalty. Since launching Stores, we’ve released features that make them easier for brands to use. Our three latest updates provide tools for you to create a more dynamic and engaging experience for customers. With this new tile option, you can upload a 2- to 20-second video that will auto-play (and loop silently) when your Store page loads. Background videos are available in full-width, large, and medium tiles, letting you display your products or brand in a bold, impactful format to engage visitors. 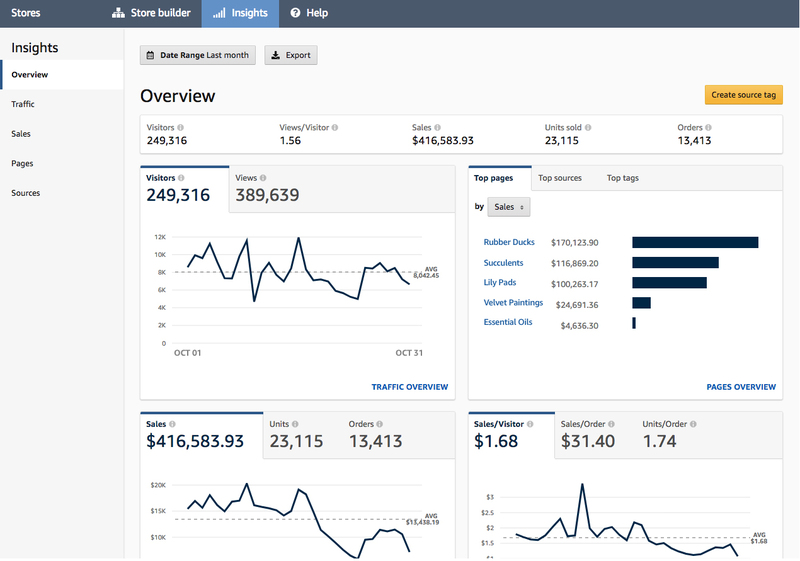 Last year, we launched the Stores Insights dashboard to enable quick access to your sales and traffic reporting. Now, with our expanded metrics, you can find information such as sales per visit, orders, orders per visit, units per order (a measure of order size), and sales per order (a measure of order value) in your dashboard. Imagine you want to understand how customers are engaging with your Store, and how that engagement maps to the shopping journey as those shoppers move between research, discovery, and purchase. In your Insights dashboard, you find that page 1 receives more visits than page 2, but has a lower click-through rate and order rate. This information might help you assess whether you want to adjust your strategy to drive more traffic to page 2, or to make changes to page 1—such as introducing video or more product images—to boost engagement with your brand. With the launch of the Insights dashboard, brands have been able to use custom source tags to determine how shoppers come to their Stores, helping them better understand and categorize their traffic sources. The reporting was originally limited to the top 30 source tags. Brands will now see the top 100 source tags, and can export all source tags. 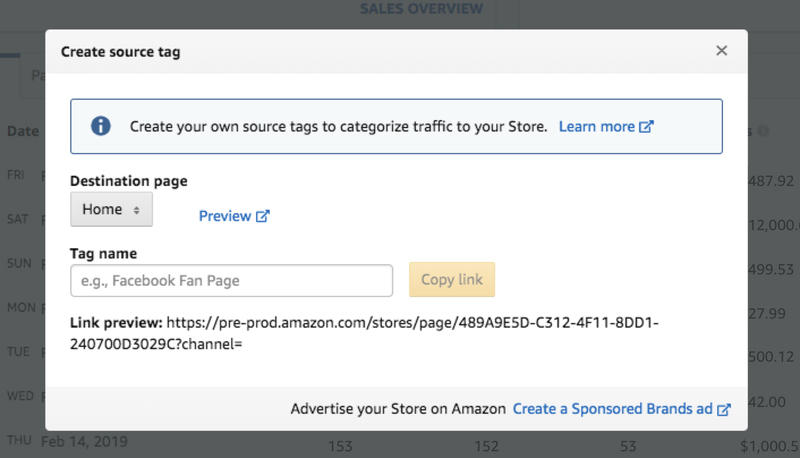 We’ve also made it easier to create copy-and-paste source tag links for any page in your Store—not just the homepage. Select the page you want to use as a destination, create a tag name, and generate a link. 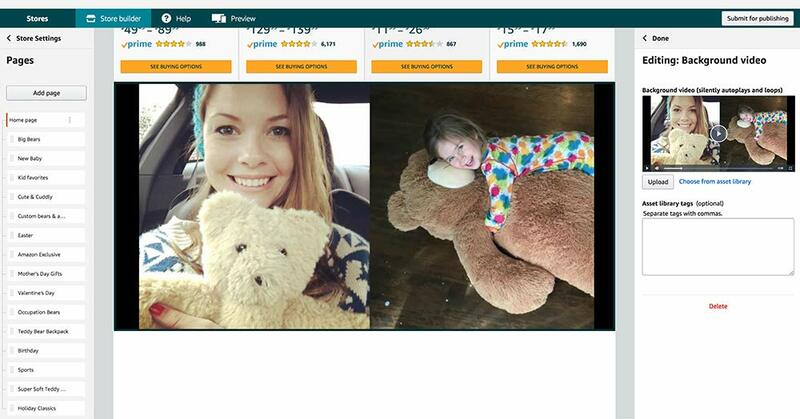 See how these new features can help make your Store an even better experience for customers. If you haven’t created a Store yet, visit our site to learn more.